5/31/2015 – The ratings list this month brings milestones, not so much in records, but in personal bests that remain remarkable and noteworthy. 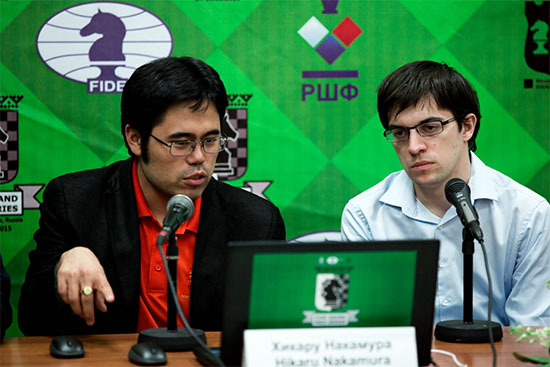 The first is by Hikaru Nakamura who gains three Elo this month. It might not seem worth mentioning, but that was all it took to finally break 2800, in a month in which the US had plenty to celebrate. Here are the ratings, stats, and stories. American player snuck over it with his result in the Khanty-Mansysk GP. regain the no.2 spot. Both Americans also earned a spot in the next Candidates. reach 2759 with a 21 Elo gain. dreadful 31 Elo. There is no question he will bounce back, but right now he is licking his wounds. The Chinese prodigy Hou Yifan came very close to knocking herself down to World No.2 when she lost 10 points, leaving Judit Polgar only one behind her. Although there were several good results, one that bears a special mention is 14-year-old Jeffery Xiong, who gained 25 Elo after a fantastic win a the Chicago Open, taking him to 2522 and clear GM territory. In the girls list, once again a US player is the standout. WFM Akshita Gorti, born in 2002, gained 244 Elo last month, taking her rating to an impressive 2324 FIDE, and placing her in the country's top five female players. 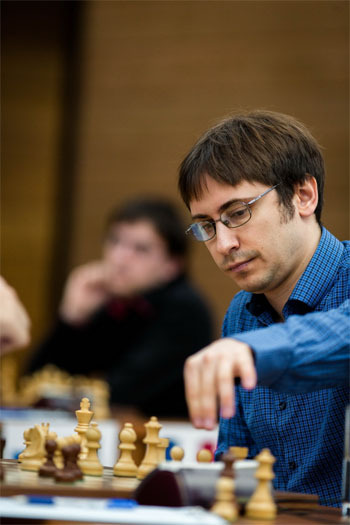 Overall there were few changes in the list, with the exception of new World no.19 Iuri Shkuro from Ukraine, who has climbed regularly from 2525 in November 2014 to 2765 in this list, placing him just ahead of Kramnik. There were a few changes in the Blitz ratings this month, but nothing major. I simply cannot understand how come one's ELO can go up by drawing games against lower-rated players, especially at 2700+ or like I said, a SGM. Carlsen's draws count as if he'd won....I mean, as long as he doesn't lose too often, his rating will slowly climb...Does all this make sense? BigPun - Well of course. It must be boring to have your opinions refuted. The actual fact is Larry Kaufman won his GM title by winning the Senior World Championship, and he is very quick to point out in his repertoire book that he is not as strong a player as other GMs that write opening books. He also points out that his playing strength did not decline when he reached 60, unlike the other competitors. The take away is if you are an IM, and do not experience the normal drop in playing strength as you age (good luck with that), but the other competitors do, then your IM skill is good enough to win the GM title. @A7fecd1676b88 Oh please I get it. You're one of these Bobby Fischer was and always will be the best player ever. I like your enthusiasm but unfortunately i think it is an incorrect assesement to say Fischer at his peak was superior to Carlsen. Anyways im not trying to convince you otherwise as I experienced die-hard bobby fans to be unreasonable in that point. Bent Larsen was very creative and strong but you seem to be misjudging todays 2700+ players pretty bad. The world senior championchip btw is a pretty bad example as it is a very seldom exception and its won like almost always by grandmasters anyways. How about you developing a perfect rating system or becoming a grandmaster. Otherwise your arguing seems pretty pointless to me. BigPun -- The existence of ELO inflation is not really a point of controversy. If there was no inflation or deflation in the ELO, then the ELO system would provide a convenient and meaningful metric of chess skill, independent of time, for all generations in which it was used. It is irrelevant whether that was its intended purpose. But the ELO is an inexact model, that does not work very well, even for players in the same generation. Fischer at his peak was clearly superior to the current GMs, including Carlsen, who are actually rated higher. Bent Larsen was also superior to most of the current GMs. Carlsen is simply weaker than Fischer at Fischer's peak. That is the reason Carlsen cannot go 6-0. Regarding becoming a GM...I don't recall somebody saying it was easy to become a GM, but some GM titles are easier than others... Winning the World Senior Championship makes one a GM. One lucky tournament result, against aging players whose best days are past, and you are an instant GM. It's just sad how many people don't get the meaning of the elo system. It was never invented to compare players of different centuries it was invented to compare players living and playing at the same time. If you have noticed it does quite well and shows the difference between Mr. Carlsen and his nearest rivals. That Carlsen does not crushes any other top GM 6-0 is responsible to the fact that overall play has much improved and there are a lot of top class players unlike in the old days. To all those saying it is way to easy to become GM try to get one yourself. Im sure it will be a walk in the park. Current top ratings are inflated easily 100 - 200 points, and that is very sad. Fischer had a peak of 2785 when he crushed Taimanov and Larson 6 -0 each. Carlsen, as strong as he is, couldn't crush any challenger 6-0, let alone two, in classical chess. "It is hard to say how their match will end, but it is clear that such an easy victory as in Vancouver [against Taimanov] will not be given to Fischer. I think Larsen has unpleasant surprises in store for [Fischer], all the more since having dealt with Taimanov thus, Fischer will want to do just the same to Larsen and this is impossible." On the other hand, one can easily imagine Fischer -- in his peak -- going 6-0 against today's GMs, even though today's GMs are higher rated. All this fretting about player Titles? If F.Caruana was rated second in the world by his Elo 2805, would your think any less of his chess prowess if he had no Grandmaster title? I have long felt that we need an new higher title than GM, since that title doesn't mean what it did. My suggestion is UltraMaster, UM, a nice short title. The title should be reserved for players who are multiple winners (not just gainers of norms) of top tournaments. They are players who are expected to be candidates for the world title, and who have shown over a certain time that they belong at the top. One could perhaps set a limit on their numbers, such as not exceeding 3-5% of GMs. When I was a kid (long, long ago) we knew who all the GMs were, because there weren't many of them. Now the GM title is simply the expected title of the working professional. But there really is a distinction between the competent GM and the geniuses. We need to provide our top players the opportunity to be recognized. Raise a glass to our UltraMasters! Yes. I suggest Super GrandMaster - SGM - for those 2700+ GMs. There are 44 of them according to the latest FIDE list. @Bertman -- Oh, that's nice. Anyway, back to the issue at hand... Tal told Silman the following in an interview. I agree with Tal.
" For 15 to 20 years there was a real inflation with the GM title. FIDE made it easy to get. Of course; I won't mention names, but this was definitely a problem. Now it's much harder again and this is a very good thing. Remember that to become a GM means you are a potential challenger for the world title. Long ago it was the case – Tarrasch, Schlechter, Rubinstein, etc. Nowadays this is no longer the case, but it should be! A new idea might be to make a new classification. For example, GM First Category, GM Second Category, etc. " @A7fecd1676b88, I don't know where you got that idea, but it is false. To start with, the early history is not 100% clear. For example, some say that Tsar Nicholas II unofficially awarded the title to 5 finalists in a tournament he sponsored, but that "fact" is only based on one article, which was called into question. It was sometimes used informally before 1950 when FIDE first conferred titles. In 1950, FIDE awarded the title to 27 players. Do you really believe that all of them could have competed for the world championship? In 1953, the first standards were objectified: World Champion; be a candidate for the WC; winner of certain tournaments (or second place twice); and lastly, anyone, who could demonstrate that they met the equivalent of being the winner of those certain tournaments, like playing a match. If you extrapolate how many players played back then compared to today, I doubt there would be much difference in the numbers of Grandmasters relative to their era. As far as inflation: Even that is debatable. As an ordinary master myself (for 30 years now), I remember playing through the games of Alekhine, Capablanca, and the other early greats, and most of their competition STUNK. I would put most of today's IMs up against all but the very best players back then. Today's players have so many outstanding tools at their disposal that they are simply MUCH stronger than previous generations. 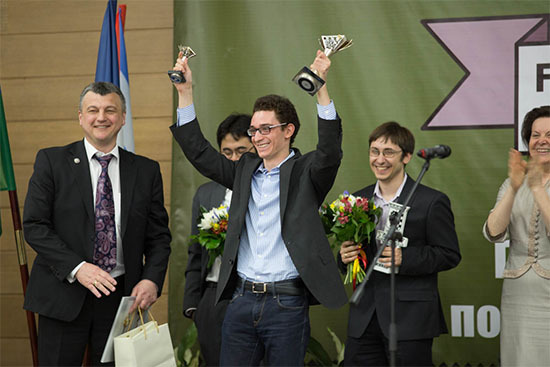 We have Chessbase databases with millions of games; we have engines that play at 3250 strength; and most of all, we now have access to world-class competition using Playchess and ICC. When I was on my way to becoming an ordinary master, there were three other masters (a couple of 2200's and one 2450), who lived in my state. Back then, we got together at a club once a week, and maybe one other strong player showed up if you were lucky. Now, I can click a mouse, and always play someone, who is rated significantly higher than I numerous times per day, let alone per week. THAT is the single biggest key to getting better at a high level. I challenge you to back up your comment about how the title of GM was originally intended since I believe it is hooey. @A7fecd1676b88 The criteria to become grandmaster were also highly subjective, and while some were transparent, others were not. The advent of the Elo system as the basis meant an inevitable shift. The title of Grandmaster was originally meant to apply to somebody who was strong enough to challenge for the World Champion title...and as such there were not very many GMs. Then we had title inflation. Now, in that top 100, how many could realistically have a chance at challenging Carlsen? Probably 1 or 2, if even that. 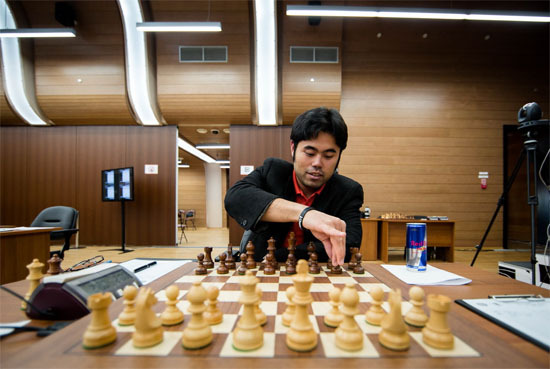 Noteworthy is that of the nine players who have ever topped 2800, eight of them occupy the top eight positions in the current list, and the ninth (Kasparov) is retired. The ELOs are speaking themselves. Interestingly, the only four people so far guaranteed to be participating in the next Championship cycle (Carlsen, Anand, Caruana, and Nakamura) currently occupy the world #1-4 slots. This is already shaping up to be a great Candidates!